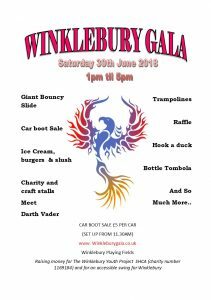 Back for the second year running, the Winklebury Gala (part of the Festival of Basingstoke) is a free local estate event. 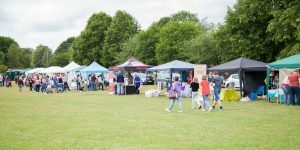 With craft stalls, refreshments, attractions, a display arena and a car boot sale, there will be plenty to keep you occupied. 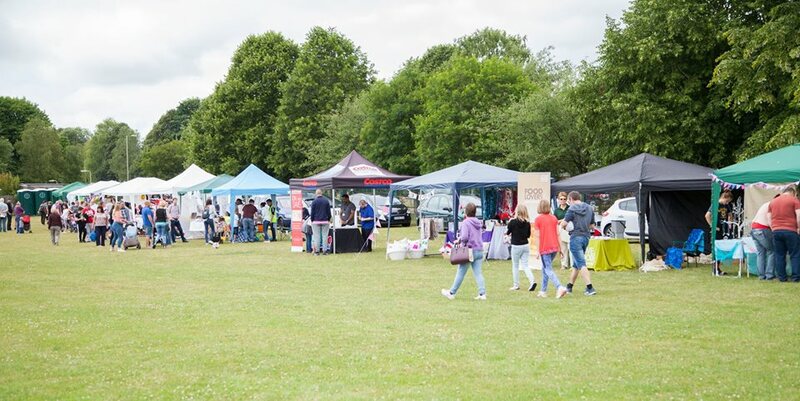 Our arena will be showcasing some of our local talent as well as be centre stage for Crazy Corin, a child friendly, balloon modelling magician. 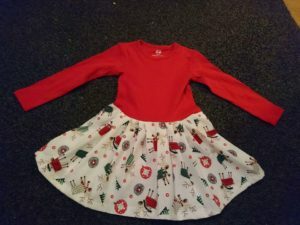 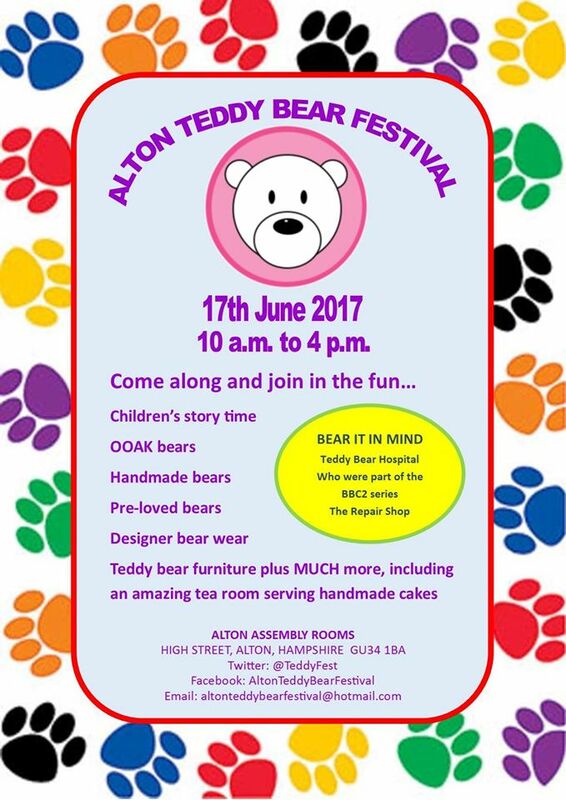 There will also be some traditional stalls such as teddy tombola, face painting, sweet stall, bottle tombola, cake stall and a raffle and new to the Gala, Jenny’s Corner (storytime for the little ones). 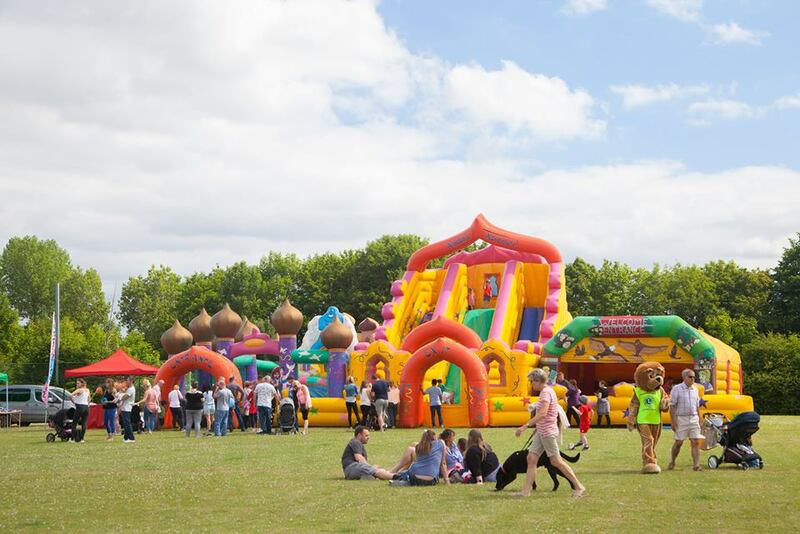 We will have special guest appearances from the Basingstoke Lion’s Lion and Han Solo and other Star Wars Characters. 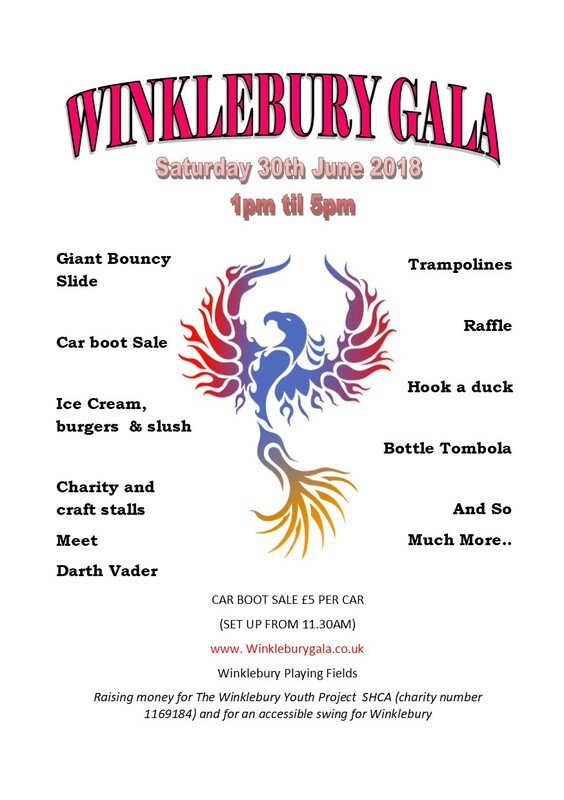 And if all that wasn’t enough, we will also have a car boot sale for you to grab a bargain and all this to raise money for the Winklebury Youth Project and to buy an accessible swing. 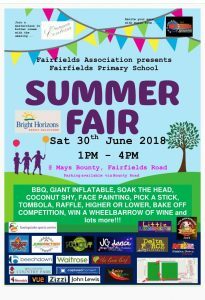 So join us on Saturday 30th June between 1pm and 5pm. 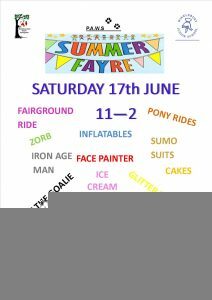 To book a stall or boot sale contact shirlnmike57@gmail.com. 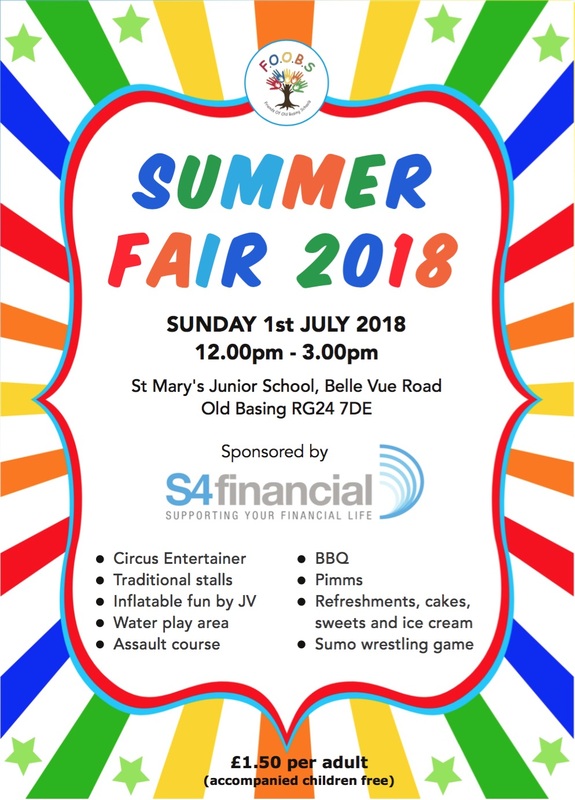 Summer Fair, Sunday 1st July 2018 12-3pm. 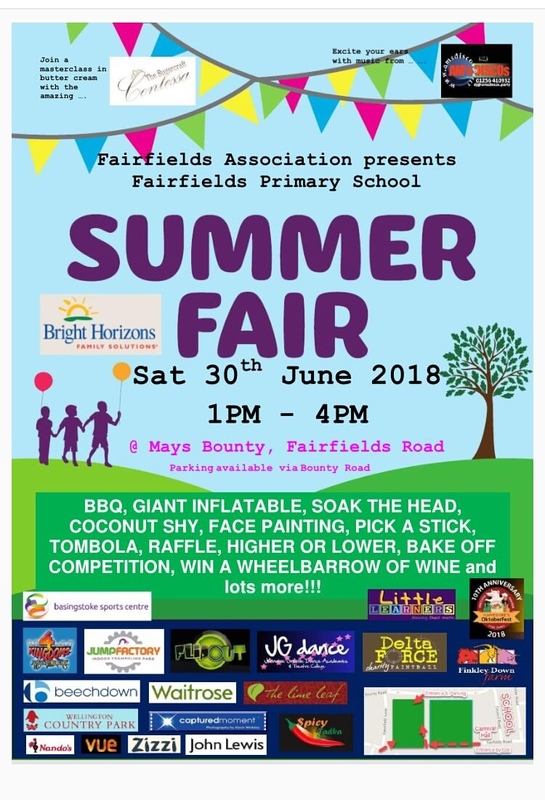 At the fair will be: a circus entertainer and workshops, arena performances, fun inflatables, assault course, water play, face painting, a variety of games and stalls for everyone, BBQ, Beer, Pimms, hot & cold drinks, cakes & ice-cream. 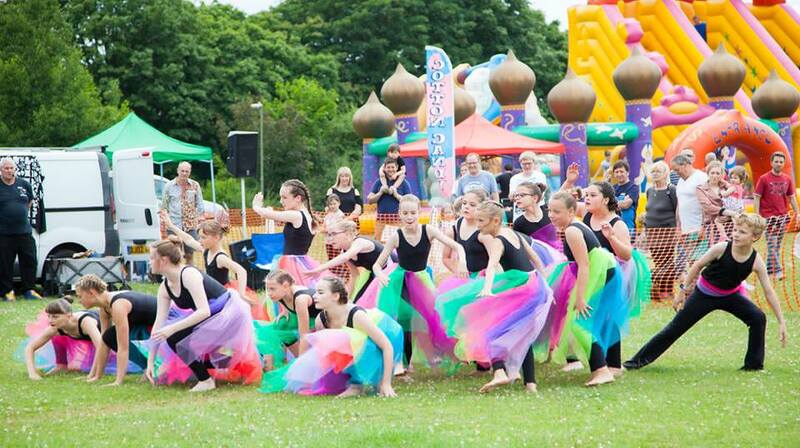 Entrance £1.50 per adult, accompanied children free. 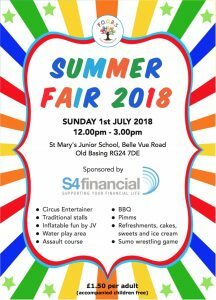 At St Mary’s Junior School, Belle Vue Road, Old Basing. 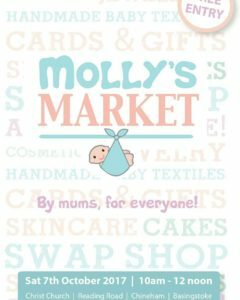 A frequent conversation of mums with small children revolves about what can we do instead of going back to work to earn some money around our children, and one day during such a conversation our NCT group realised that we actually know quite a few people who have set up their own businesses since having children, and that we should support them as much as possible – and so the idea for Molly’s Market was born. All the stalls are run by mums who have set up businesses, either things they make themselves or “shop” businesses like Usborne books, so there will be a wide range of goods for sale from handmade clothes, cosmetics and toiletries, children’s books, jewellery, crafts, greetings cards and gifts, to delicious homemade cakes – “byMum’sforeveryone“. 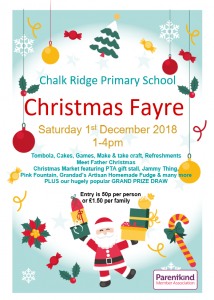 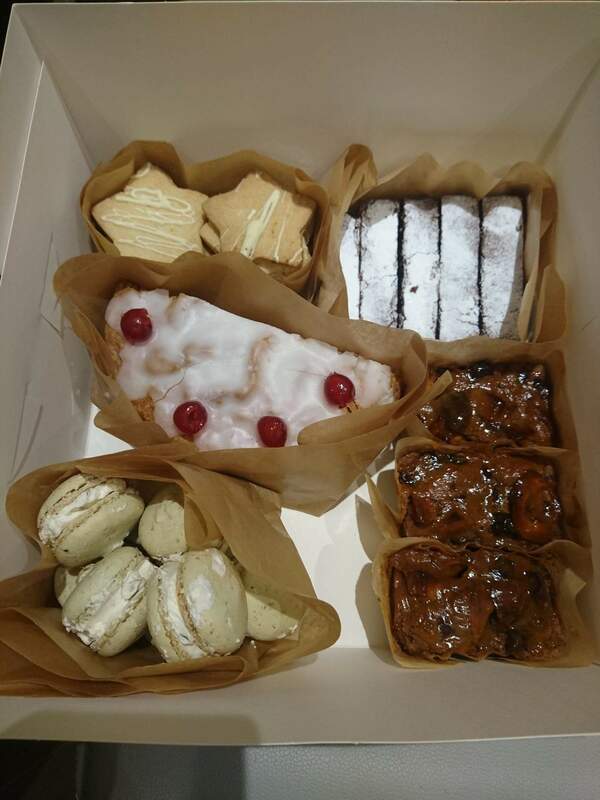 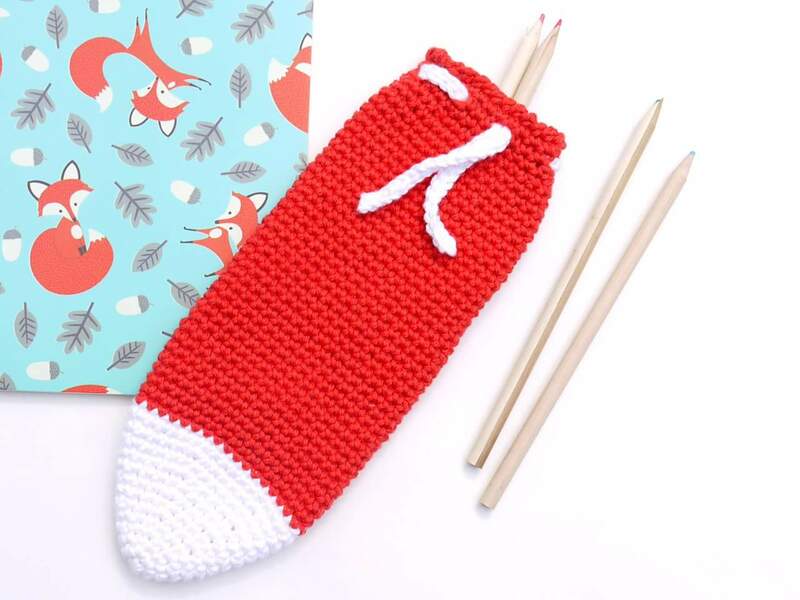 Entry to the market is free, with any profits going to Sebastian’s Action Trust – a charity which provides support for families of seriously-ill children. 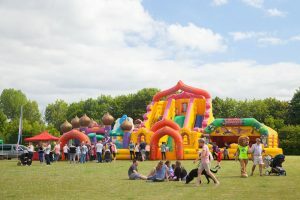 They have the UK’s only purpose-built facility that offers respite holidays to very sick children and their families, near North Waltham, which enables precious time to be spent together, a cause both local and close to our hearts as we all have small children. 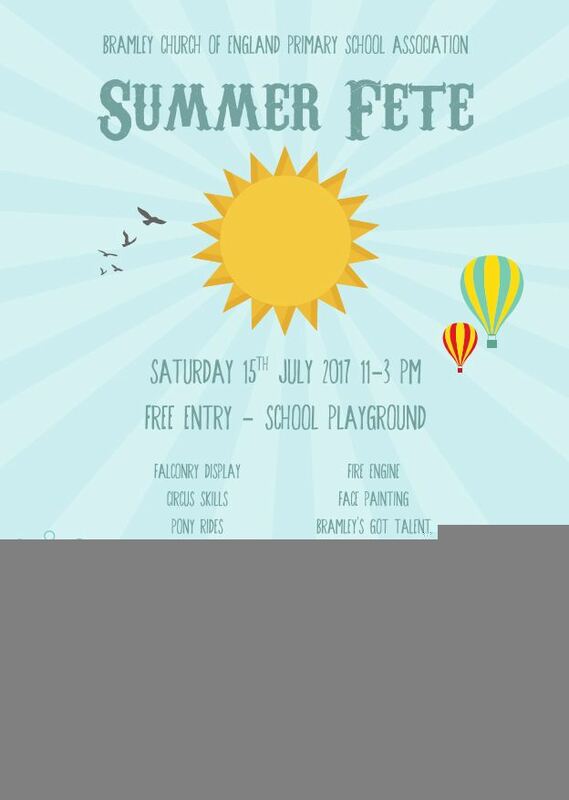 Refreshments will be available and a raffle of items from the stalls, both in aid of Sebastian’s Action Trust. 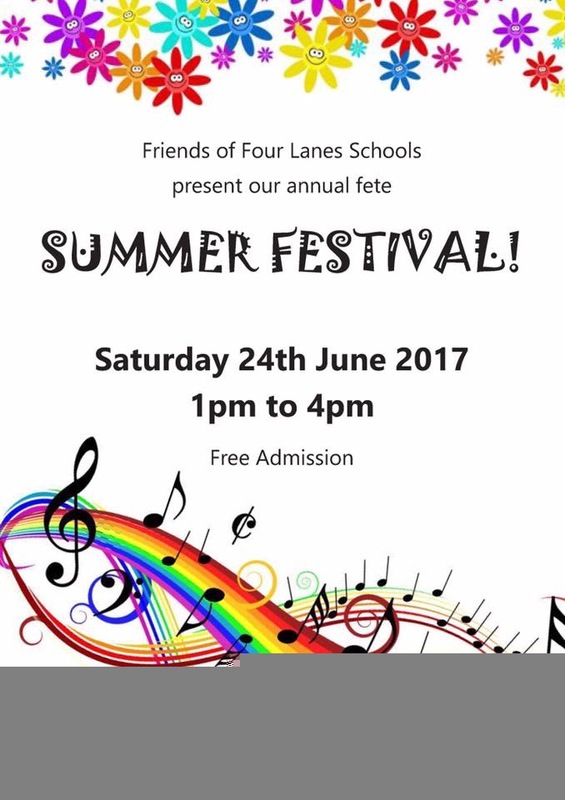 Zingtastic will be providing a taster of their music classes to entertain any little ones, and KMS are providing taster massages for grown ups. 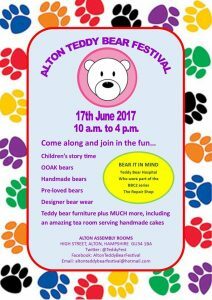 And to top it off, a swap shop where you can pick up some children’s clothes for free, and donate your unwanted clothes! 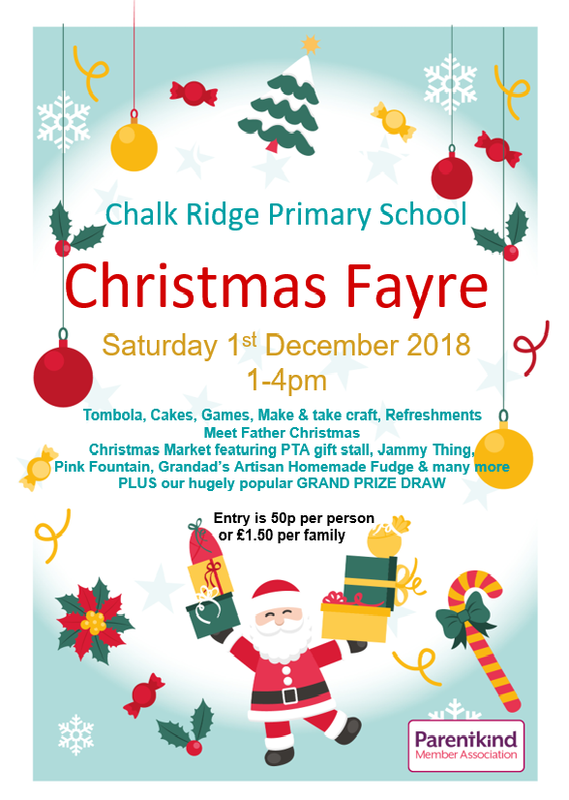 Please come along to support some local businesses, raise money for a great charity and get a head start on your Christmas shopping! 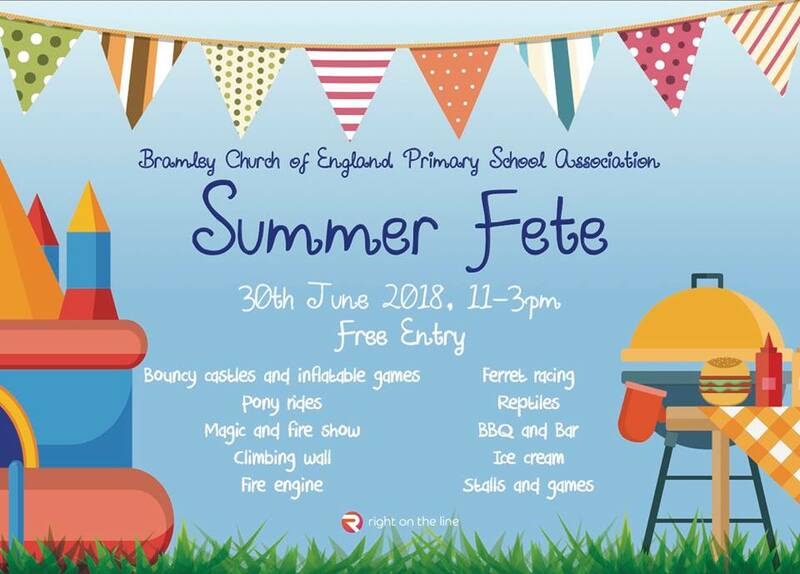 Bramley School Association invites you to our Super Summer Fete. 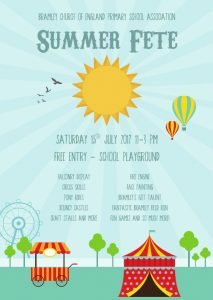 Location: Bramley C of E Primary School playground and field. 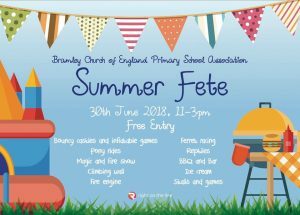 All funds raised will go directly to regenerating the outside areas of Bramley C of E Primary School. 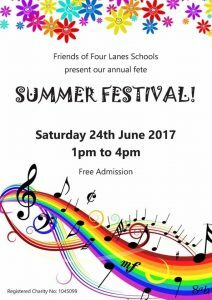 Four Lanes Summer Festival – This SATURDAY! 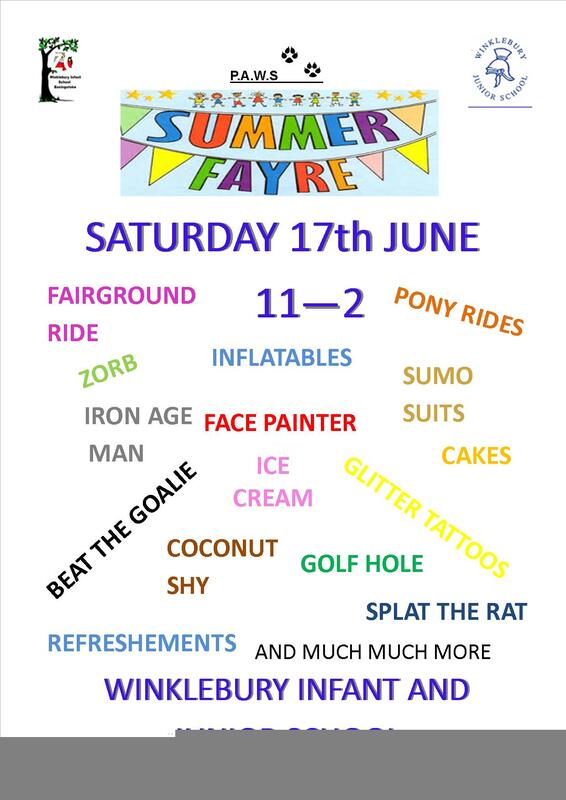 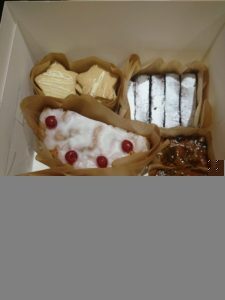 The fayre is Saturday 17th June 11am – 2pm and is to raise funds for the school. We fund the exciting things like easter egg hunts, Christmas and leavers parties and this year we were able to donate towards technology as well!